OK, as the only other real drag hag I know is 10 years old, and her charisma, uniqueness, nerve and talent are all used up going to grade school rather than alternative drag dives, I have to ask all you drinking age scenesters this. You understand that drag goes through permutations. 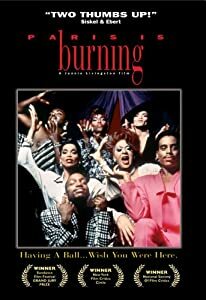 In the 1990 drag documentary Paris Is Burning, now streaming on Netflix, Dorian Corey explains some of them. Las Vegas showgirls would be a persisting old school one (clinging on among the Latinos, it would seem*) — or as Sharon Needles puts it, the paycheck drag vs. the dignity drag — or realness, such that you can pass for a girl walking your little brother to school, or a boy applying for a job. Realness was another criterion that the drag balls of the ’80s tested for. So would this “young, couture fishy drag” be the couture kind Dorian Corey talks about in PIB, where you don’t sew your own feathered, sequinned, stoned creations but merely…acquire or boost designer girls’ clothes? Sort of Kanye-West-in-Paris drag? I am very interested in Sharon Needles’ zombie/Star Wars/Olivia Butler/post-gender apocalypto drag. You should be too. I think it has something to do with the iteration of Granny Chic we’ve been looking at. I mean, the tentacles in Ep. 13 just about killed me. I need some. *Huge props to RuPaul, who is a genius, for hiring for Season 4 finals, and naming as Professor of Drag the immortal Coochie One, in the honorable tradition that a respectable woman is bien pintadita, Charo. I fell out.